There is something deeply satisfying about elevating a common dish with a couple of uncommon ingredients. 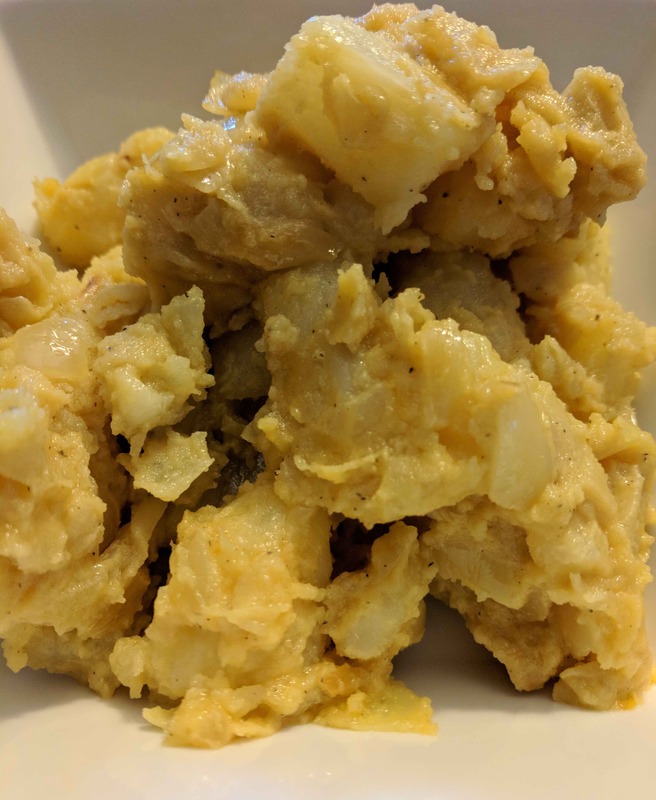 Potatoes are an awesome palate to work from, especially when you’ve got a bottle of truffle oil and some parmesan cheese just waiting to be used. The fries come out crunchy on the outside, soft and fluffy on the inside with a flavor profile reminiscent of a top quality bistro or steakhouse. 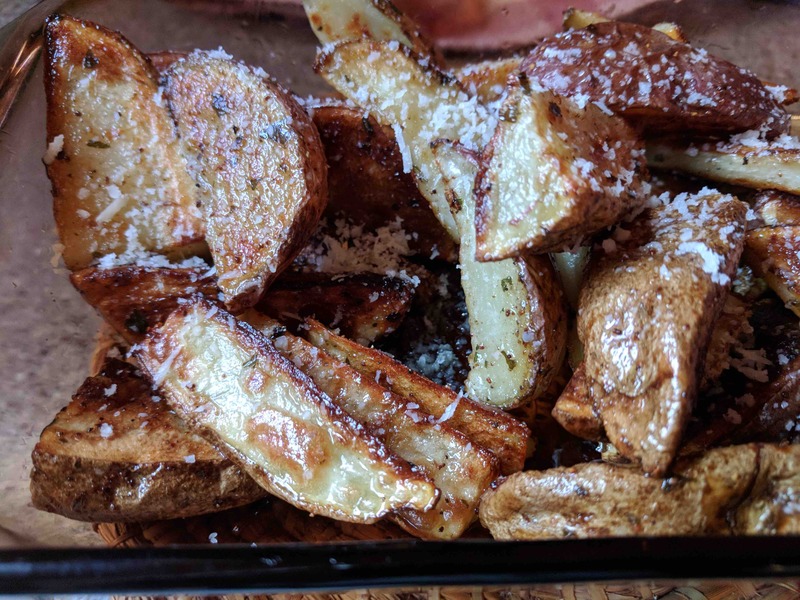 Scrub and then slice potatoes into wedges. Place in a large mixing bowl. In a small bowl mix together the spices. Coat the potatoes with olive oil and sprinkle with spice mix. Toss again to coat completely. Spread out in a single layer on a rimmed baking sheet. Bake for 15 minutes. Use a spatula to flip the fries over. Return to oven and cook 15 minutes more or until cooked through. Remove from oven and let sit for 5 minutes. Toss with the truffle oil and parmesan cheese and serve warm. Summertime is tomato time. Michelle picked a couple of 5 gallon buckets full the other week and brought the ones she didn’t make into sauce to my house. My mouth began watering at the thought of making them into a pie. 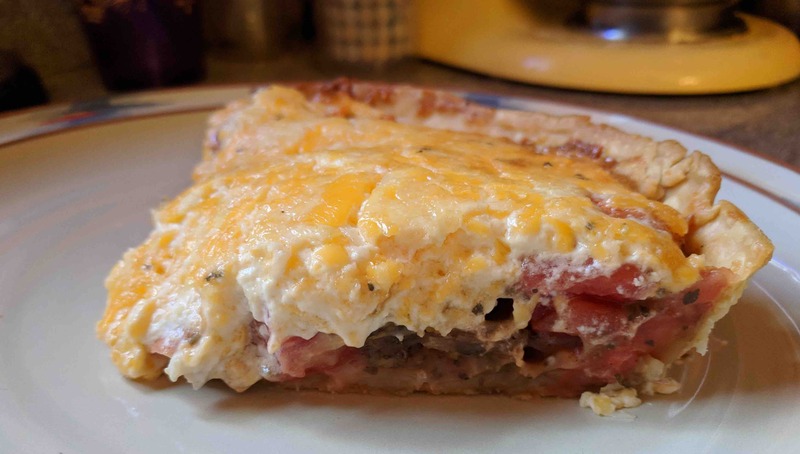 The combination of cheddar and parmesan gives you a very cheesy tomato pie that tastes like the best of the season. 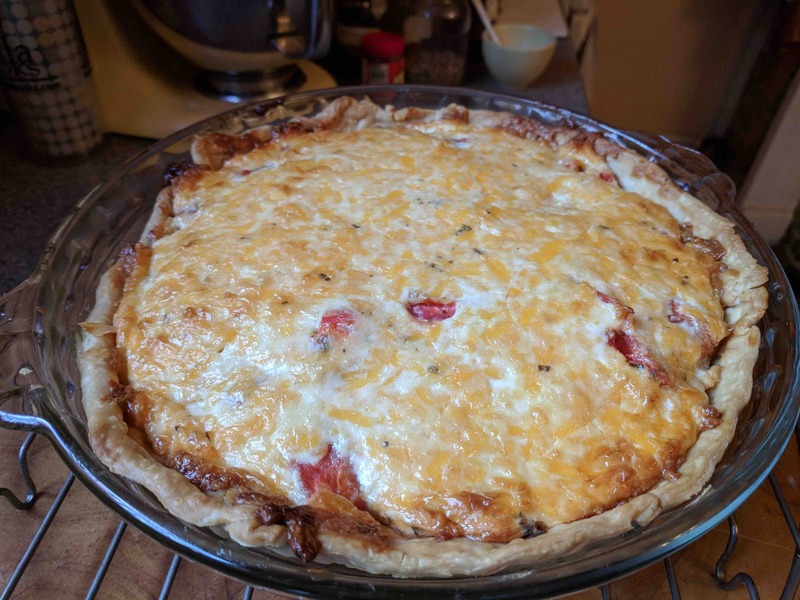 Traditionally, this pie uses a cup of mayonnaise and is baked for 30 minutes at 350 degrees F. I wanted to reduce the calories without affecting the taste, so I used half Greek yogurt and half mayonnaise. It also has the bonus of upping the protein, as well. I find that yogurt can separate with baking, so I lowered the temp and increased the time to compensate. I also added 1 tablespoon corn starch to make sure the pie isn’t runny. Put tomato wedges in a bowl. Sprinkle with herbs, flour, corn starch and salt and pepper. In another bowl, stir together the mayo, yogurt and cheeses until combined. Pour out the tomatoes and herbs in an even layer into the pie shell. Spread the cheese sauce over tomatoes. Bake for 45 minutes. Let stand 10 minutes before eating. Trust me, you need to wait for two important reasons – 1) you’ll keep from burning your mouth and 2) the interior will come together with the short wait. I like broccoli casseroles. I like corn casseroles. 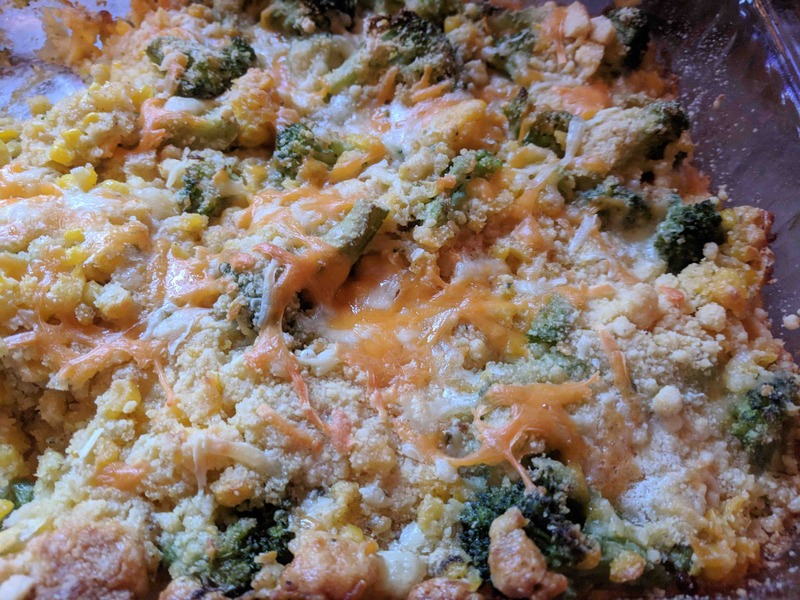 So, why has it taken me so long to come up with a broccoli and corn casserole? This is a cheesy casserole that is a perfect way to eat your veggies. Feel free to use other cheeses besides cheddar – I tossed in some Monterey Pepper Jack (upping it to nearly two cups cheese) as the grilled chicken we ate with the first version of the casserole because it had an adobo rub on it. The second (when I added the sour cream), just had cheddar as we ate ribs with it. Thanks to my taste testers – Zach, Michelle, Charlotte, Thomas and Kathy. Mix together 1 cup of the corn muffin mix with the melted butter and sour cream. In a large bowl, mix together the corn, the egg, the seasonings and 1 cup of the cheddar cheese. Stir in broccoli. Stir in the buttered and and sour creamed corn muffin mix until well combined. 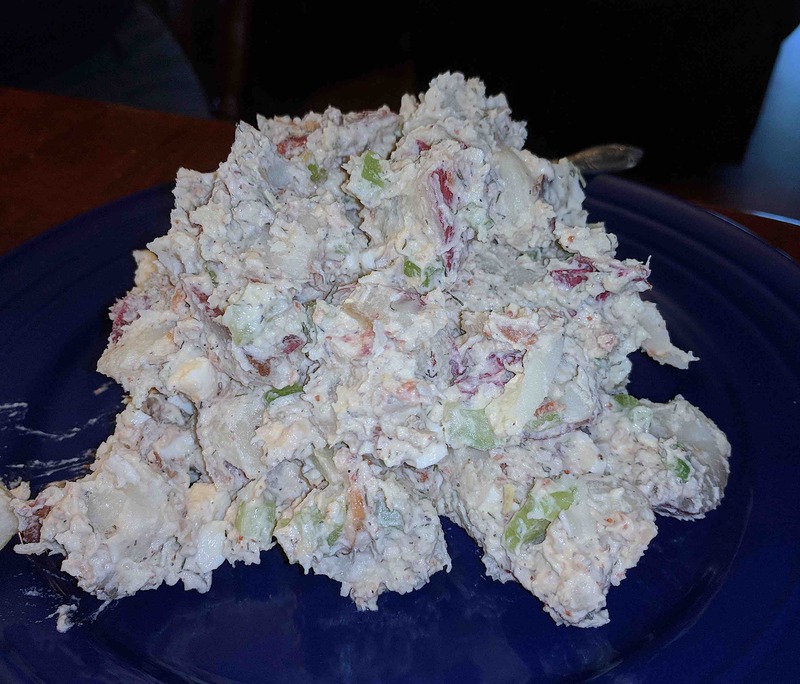 Pour into a buttered 9×13 casserole dish. Sprinkle top with remaining dry corn muffin mix and the remaining cheddar cheese. Bake uncovered for 45 minutes to an hour. When I was growing up, the only time I had sweet potatoes was under a cover of marshmallows at Thanksgiving. What a long way I’ve come! 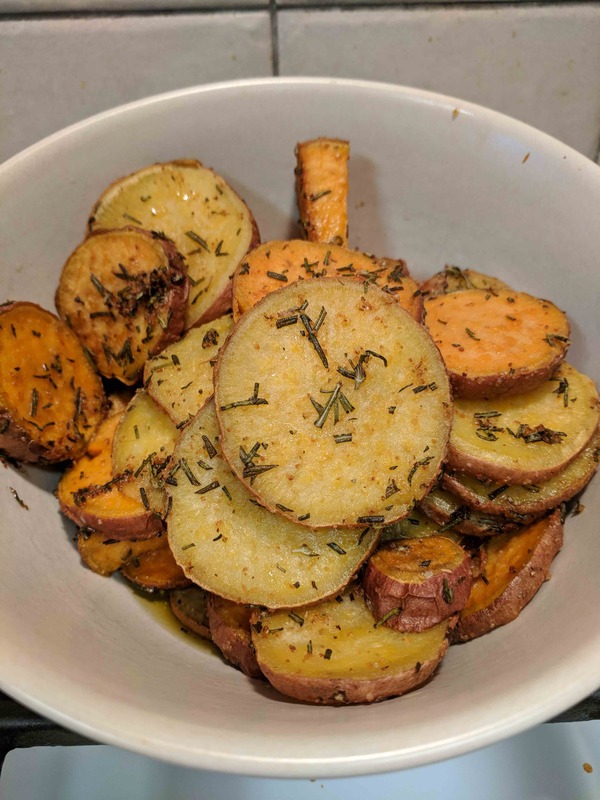 Readers of my blog know I’m a fan of rosemary, so when I thought to take a sweet potato fries recipe up a notch, that is where I started. 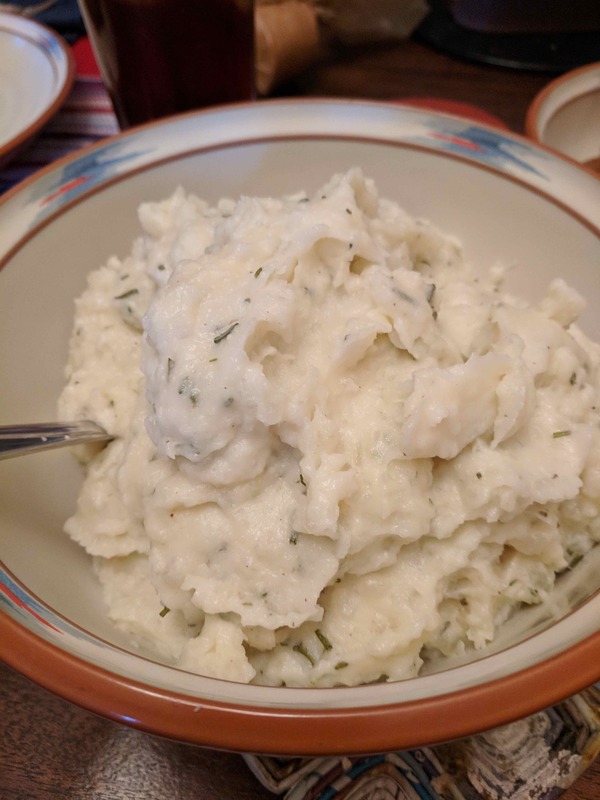 This is fairly simple recipe with just rosemary, garlic, salt and a bit of olive oil. The peel does get a little chewy, so I do recommend you peel them first. Wash the sweet potatoes, peel them and then cut into 1/4 inch rounds. Toss them with olive oil to coat. Combine rosemary, garlic and salt in a small bowl. Sprinkle over potatoes and stir until all pieces are covered. Spread onto a large rimmed baking sheet and bake 20 minutes. Flip the potatoes over and continue to bake until potatoes are cooked through, about ten minutes more.